On Friday night and Saturday morning, the synagogues will hold services as usual. 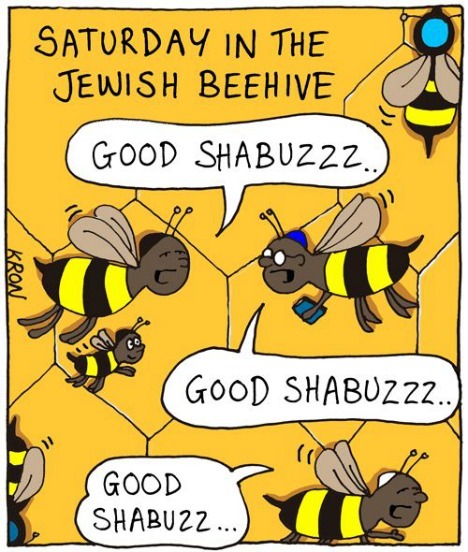 * Then, on Saturday night, the Jewish Community Center will host a Community Havdalah and Dance Party, from 7:00 to 9:00 pm. There will be Jewish folk dancing and live music by the Nahalat Shalom Community Klezmer Band. * sort of. See below. has this blessed event come about? Abq Jew must tell you: He doesn't know. Abq Jew is not a member of RACAA - they do not offer membership to Rabbi School Dropouts. Nor is Abq Jew a Member of the Board of any Albuquerque Jewish organization (or any organization anywhere; don't get him started). 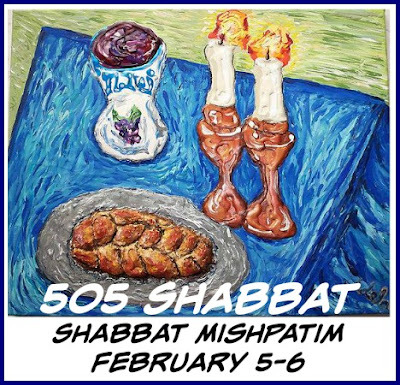 Yes, it was originally going to be called 505 Shabbat. There being no publicity materials available, Abq Jew, as is his wont, decided to create some. Well, one - a graphic that he and others could use to promote this worthy community happening. Where, Abq Jew hears you ask, did Abq Jew get that beautiful image upon which this graphic is based? From Google, of course! And whence Google? 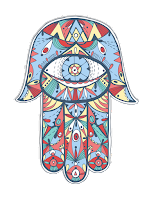 Apparently from the Zazzle Shop of Adela Camille Sutton, of which Abq Jew was not, at the time, cognizant; and who, it turns out, offers a variety of gift items using this same image, which she created. 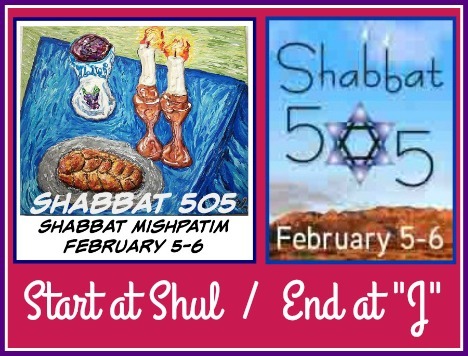 The above graphic first appeared on the Abq Jew Calendar (of course); and then in the JFNM Upcoming Community Events email of January 4 (yes, it is Abq Jew who sends these). 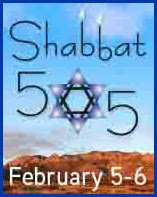 By the time the January 11 JFNM Upcoming Community Events email came out, 505 Shabbat had been changed to Shabbat 505; Abq Jew had modified the original graphic; and he had cheerfully said YES to various requests to use it. A new rabbi comes to a well-established congregation. Every week on the Sabbath, a fight erupts during the service. When it comes time to recite the Shema prayer, half of the congregation stands and the other half sits. The half who stand say, "Of course we stand for the Shema. It’s the credo of Judaism. Throughout history, thousands of Jews have died with the words of the Shema on their lips." The half who remain seated say, "No. According to the Shulchan Aruch (the code of Jewish law), if you are seated when you get to the Shema you remain seated." The people who are standing yell at the people who are sitting, "Stand up!" while the people who are sitting yell at the people who are standing, "Sit down!" It’s destroying the whole decorum of the service, and driving the new rabbi crazy. Finally, it’s brought to the rabbi’s attention that at a nearby home for the aged is a 98-year-old man who was a founding member of the congregation. So, in accordance with Talmudic tradition, the rabbi appoints a delegation of three, one who stands for the Shema, one who sits, and the rabbi himself, to go interview the man. They enter his room, and the man who stands for the Shema rushes over to the old man and says, "Wasn’t it the tradition in our synagogue to stand for the Shema?" "No," the old man answers in a weak voice. "That wasn’t the tradition." The other man jumps in excitedly. "Wasn’t it the tradition in our synagogue to sit for the Shema?" "No," the old man says. "That wasn’t the tradition." So, here we are. 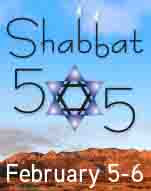 The JCC of Greater Albuquerque, may they live long and prosper, developed their own graphic to publicize Shabbat 505. 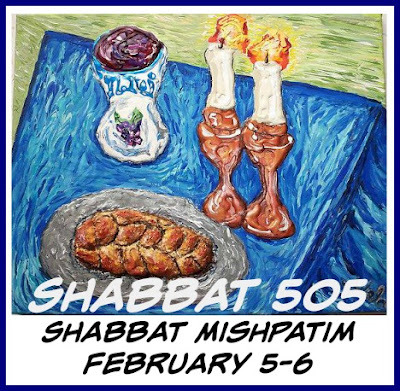 This is (thinks Abq Jew) a fine graphic that does not, alas, emphasize (OK ... it doesn't mention or depict) the holier aspects of celebrating Shabbat Mishpatim (see Writing Down the Laws). The JCC prepared and distributed publicity flyers and respectfully requested that the Albuquerque Jewish community use their graphic. Abq Jew (as is another of his wonts) put a border around it and prepared, for the sake of community unity (sorry; Abq Jew just couldn't resist) to accede to this request. A slanted mezuzah is a great example of a compromise in Jewish law. It might look screwy to you, but it’s actually a demonstration of two legal authorities literally meeting in the middle. Way back in the eleventh century, Rashi, a French rabbi and commentator, opined that when you put up your mezuzah, it should be hung vertically (Rashi and Tosafot on Menahot 33a). But then Rashi’s grandson came along. He’s known as Rabbenu Tam, and he wrote that a mezuzah should be affixed horizontally, because the Ten Commandments and the Torah scrolls were kept horizontally in the ark in the Temple. It’s rare to find a Jewish custom that was so clearly developed as a compromise between two different interpretations of one commandment. When you put up your mezuzah on a slant, think of how you’re acknowledging the ways multiple voices and perspectives are welcome and encouraged in Jewish life. and Abq Jew wishes everybody well. Congregation Albert invites Jamboree participants to "bring your guitars, ukuleles, mandolins or percussion." Abq Jew cannot help but notice that banjos and accordions have not been invited. This service celebrates the connections with our Sephardic Heritage. Sefarad is the Hebrew word for Spain and Sephardic refers to those Jews who once lived in and then were expelled from Spain, and who carried their language and their traditions with them wherever they went. We share songs and stories, food and conversation. This is a potluck dinner, so please bring your favorite vegetarian dish to share. We gather at 6:30 pm, with candle lighting starting promptly at 7:00 pm. Come celebrate New Mexico's oldest Jewish community with us! 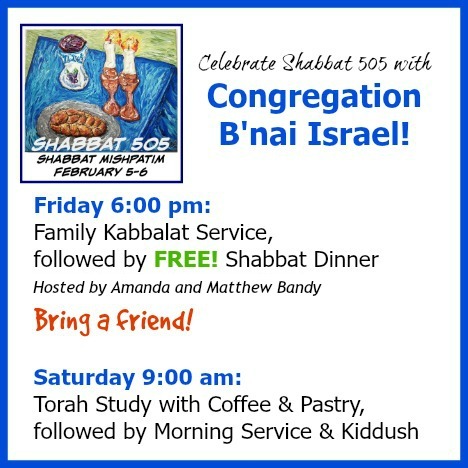 One Shabbat for all of Albuquerque! A community-wide celebration spanning Jewish denominations. 7:00 - 9:00 pm at the Jewish Community Center—FREE. All ages welcome.